Mike Greenberg is the host of ESPN’s new morning showGet Up, which will debut on April 2, 2018. For almost two decades, sports fans have been waking up with Greenberg (“Greeny” as he is called) as half of ESPN Radio’s Mike & Mike, with co-host Mike Golic. 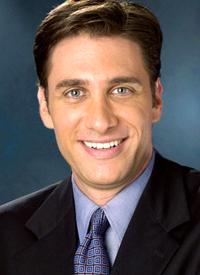 Greenberg joined ESPN in September 1996 as an anchor for the launch of ESPNEWS. He later anchored SportsCenter for many years, even long after Mike & Mike launched on January 3, 2000. In 2016, Greenberg and Golic were inducted into the National Association of Broadcasters’ Broadcasting Hall of Fame. Greenberg was also inducted into Northwestern’s Medill Hall of Achievement. Greenberg has written two nonfiction best-sellers, Why My Wife Thinks I’m an Idiot and Mike & Mike’s Rules for Sports and Life (co-written with Golic) and two novels, All You Could Ask For and My Father’s Wives. Lara Logan’s bold, award-winning reporting has earned her a prominent spot among the world’s best foreign correspondents. Named a full-time 60 Minutes correspondent in May 2012, the 2017-18 season is her 13th at the newsmagazine. Logan was named CBS News Chief Foreign Correspondent in February 2006 and Chief Foreign Affairs Correspondent in 2008, all while contributing to 60 Minutes beginning in 2005, and 60 Minutes II from 2001. Recent reports for 60 Minutes include the operation to take back Mosul from ISIS, a story on little-known victims of the Holocaust of WWII and another that reported on the similarities between ISIS genocide tactics’ and those of Hitler’s Final Solution. Her work has taken her from the front lines of the Ebola crisis to the forests of central Africa where she did a story on veterinarians treating endangered mountain gorillas in the wild, to Hollywood where she recently profiled one of rock 'n roll's most prolific photographers. In February 2011, Logan was almost killed in Tahrir Square in Egypt during the revolution there. She was sexually assaulted and beaten by a mob of some 300 men while reporting a story for 60 Minutes. She broke her silence about the brutal attack on 60 Minutes to draw attention to the plight of men and women, as well as female journalists covering war zones. 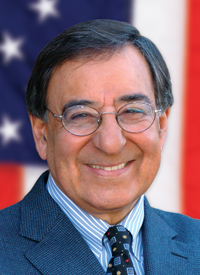 Leon E. Panetta has had a fifty year career in public service at the highest levels of government: as Director of the CIA, he successfully led the operation that brought Osama bin Laden to justice; and as the twenty-third Secretary of Defense, he established a new defense strategy. He was unanimously confirmed as the twenty-third Secretary of Defense in 2011. 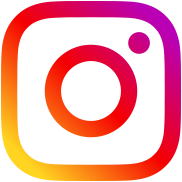 In 1997, Secretary Panetta returned to his home town of Monterey to establish and co-direct The Panetta Institute for Public Policy, a non-partisan, not-for-profit study center that seeks to inspire men and women to lives of public service. He chronicles his life in public service in his best-selling memoir Worthy Fights, which was published by Penguin Press in the fall of 2014. In 2017, Secretary Panetta received a Monterey Bay National Marine Sanctuary award in recognition of his pivotal role in establishing the Monterey Bay National Marine Sanctuary.